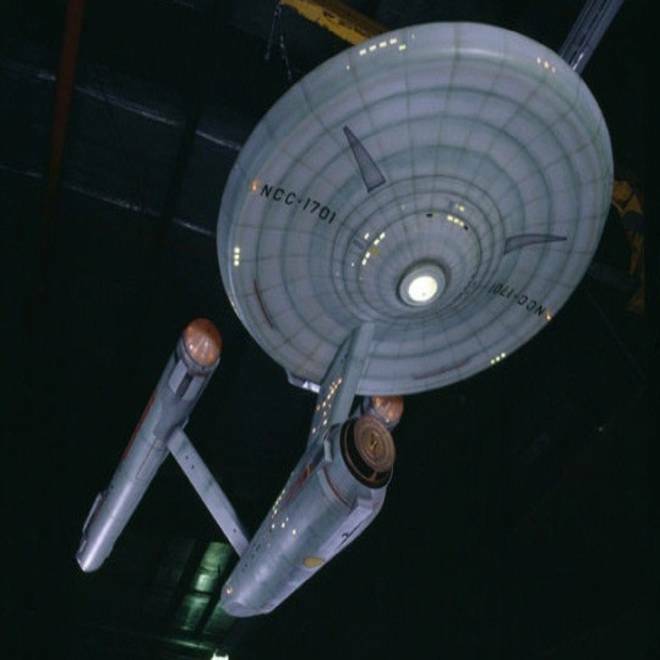 This model of the fictional Starship Enterprise was used in the weekly hourlong "Star Trek" TV series that aired September 1966 to June 1969. It is now on display in the Smithsonian's National Air and Space Museum. If the Death Star went up against the Starship Enterprise, who would win? When it comes to White House petition drives, it's the Death Star. The petition calling on the federal government to build a fully operational "Star Wars" battle station attracted more than 34,000 signatures, forcing the White House to issue a hilarious response. But a similar petition supporting a real-life version of Captain James T. Kirk's favorite ride fell far short of the 25,000-signature requirement when the one-month deadline passed on Monday. At last count, the Enterprise petition had 7,200 signatures, according to its creator, a Trek fan known publicly as BTE-Dan. "I’m disappointed that it didn't reach 25,000, because I would have genuinely liked to have seen the Obama administration respond to it," Dan told NBC News in an email. Dan is the webmaster behind the "Build the Enterprise" website — and he says he's serious about wanting NASA to do a feasibility study for an Enterprise-like spaceship. "I really do think that building an interplanetary spaceship that follows the form of the USS Enterprise would be uniquely inspirational to Americans, and people around the world, too," he wrote. "Once its construction started in space, people would be fascinated by it, and it would constantly be in the news. And it might well inspire a new generation of Americans to study the STEM subjects [science, technology, engineering, math]." Dan likes the basic idea behind the Obama administration's "We the People" program, which provides an opportunity for petitioners to get a response from the White House if enough people sign on. "Unfortunately, having a short 30-day window to gather signatures makes the petition system geared to getting high signature counts mainly for the most emotionally charged current events of the moment, like pro-gun control, or anti-gun control, or the desire of some to deport Piers Morgan," he said. "People are motivated by humor, too, like in the Piers Morgan case and for the Death Star petition, and there is nothing wrong with having some fun with the petitions. But I’d like to see the system changed so that more substantive petitions get considered." Maybe the problem was that BTE-Dan's proposal was too substantive, especially for a concept that sounds like classic science fiction. The same issue might be working against another space-themed petition, calling on the federal government to build a nuclear thermal rocket. (NASA actually pursued a nuclear-rocket development program in the 1960s, and may do so again.) That campaign has attracted fewer than 2,300 of the required 25,000 signatures with 10 days to go before the deadline. One thing's for sure: It'll be even harder for slightly wacky petitions like the Death Star plea, or an earlier effort to crack the alien conspiracy, to make their way into the spotlight in the future. That's because the White House raised the signature requirement from 25,000 to 100,000 last week. BTE-Dan's effort just might stand as the most ambitious effort to build a real-life Starship Enterprise until the year 2063 — when eccentric genius Zefram Cochrane achieves the first warp drive flight and brings the Vulcans in for first contact.